#PunkHr, totaalvoetbal and the Bold Learning Professional. I’ve been quiet on the blogging front for a while. Been tweeting like a good one and so I’ve kept my social presence there. Not done my Klout score any good but then I don’t know what it is anyway and at the moment, I don’t care. My version of social media success isn’t that I get retweeted a lot it’s whether I feel like I am making a positive difference to at least one person. But back to blogging – or lack of – in my case. I am a real half-blogger. Credit for that term to Mervyn Dinnen who blogs here. I have a couple of blogs that are half-done and I refuse to let them out until I am happy with them. I am not as succinct as Seth Godin who blogs here; nor am I as darned good at it as FlipchartRick who blogs here; Rob Jones who blogs here and don’t even get me started on the fantastic Alison Chisnell guest blogs that led to the #1in4 or 25% movement who blogs here. Then there’s Sukhvinder Pabial, Doug Shaw; WhippasnapperHR I could go on. Anyway, through the marvellous @LNDConnect Unconference on 28 January, I was fortunate enough to be privy to round table discussion about L&D professionals being bolder. I nominally took on the role of scribe and some could argue chair but a round table – whether you like having tables or not – has no position of power based on where you sit. I did though, have the marker pen of power. By virtue of writing stuff down, you kind of assume a role of some sort of leadership. It was though, a great discussion and I promised to blog about it as this bold thing really got us going. 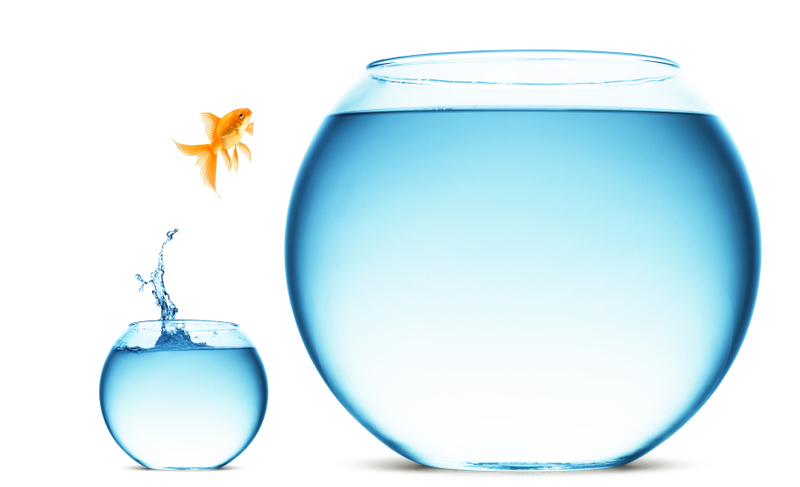 Boldness in L&D. Why? What? Who cares? Well we deduced that you SHOULD care. Because if you are an HR professional with a speciality in people and organisational development (I’ll refrain from Talent for now but you can in your mind if you want to) how bold you are; could be and should be is actually quite important to the survival and thrival (?) of this profession. Now, my use of the #PunkHR hashtag is known so I’m going to stick with it for this blog. And that’s where being bold comes in again. One of my descriptors for PunkHR is ATTITUDE WITH ACUMEN. So I’m going to say, that in my mind, that means boldness. You can be bold if you know your stuff. You can be bold if you don’t but that’s called bullsh*tting and generally results in a loss somewhere down the line. Yes we talked about running ourselves out of a corporate role. Now, a lot of us around the table are now freelancers; independent practitioners but some – like me – only recently out of corporate. So we relayed our findings of inside and outside the organisational payroll/job. away with it and it’s almost expected of you. So then we had this whole internal/external taken more seriously etc. We concluded that there is a difference. It’s not necessarily right that there is but there is. Cyrus Cooper is about to enter his first blog as a guest on my site, so please watch out for this as he’s going to tackle this internal –v- external issue. Can I do an ABI (acronym based interlude) now? Of course I can it’s my blog. 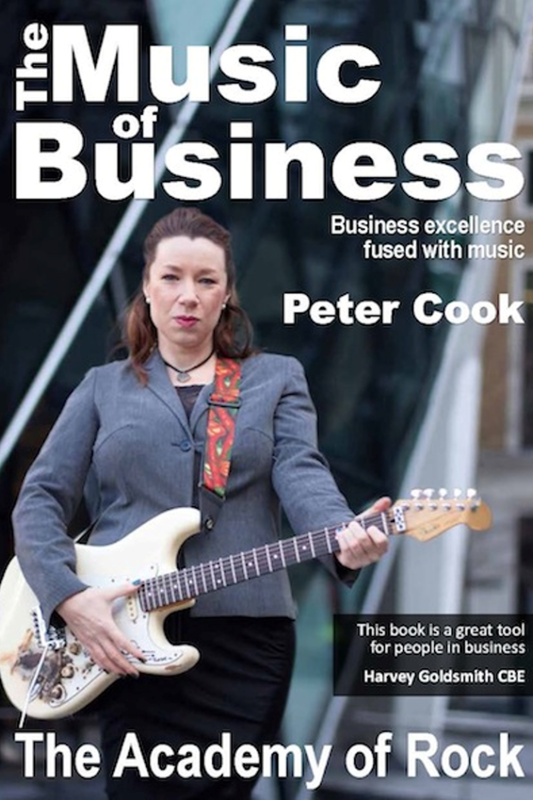 (who has a new book out – The Music Of Business available here) – coined this. We started our discussion by codifying and defining some of the traits of the bold L&D professional (and contrary features). At this point I distinctly remember suggesting this is an addendum to the HR Profession Map – which met with some rolled eyes. OK I won’t pursue that just yet but I have taken some comfort and licence to operate from said Profession Map – I guess it’s that you take what you can from things – perfection or otherwise, it’s about usefulness to me – there’s another blog there – one about perfect, elegant, great, useful, adequate, OK, ropey and downright crap in terms of performance, deliverables and impact. Not even a half blog that – just an idea. We then created something of a dream definition – if L&D professionals individually were bold, and if the function within an organisation/industry and the profession as a whole was acting boldly, what would people say about us/it so we knew it was hitting the right notes? First out of the traps was an analogy I love. So again, HT @academyofrock for this. He said (paraphrasing a little here) “I can wallpaper and do an alright job. But when I get a professional in, you should see his corners”. There’s a new one then for us. Do we do things that say how well we can wallpaper in the corners? Slightly bizarre as we had a food metaphor in an early discussion and now we’re onto interior design. Talking about work often forces you into Thursday evening television programmes territory. I guess “art” represents life and life represents art? It was then we got into elegant solutions. Not bold then as in angry, rebellious, troublesome, maverick – no we’re talking something with sophistication and craft. Mastery and impact. Bold then – in our dream state – doesn’t need to be something about forcing yourself on peoples’ agendas, no this was more about standing firm whatever your thoughts or conclusions about a course of action. Firm not fighting. How many times have we actually heard these nuggets of feedback ESPECIALLY when you’re an internal L&D professional? Externals tend to garner testimonies from clients for marketing purposes so we deduced the internal L&D function isn’t very good at marketing – but then this is covered by Cyrus’s first blog which will follow this one. So we are clear. Bold doesn’t mean angry then again it certainly isn’t timid. Bold doesn’t mean confrontational but it does mean challenge. Bold doesn’t mean reckless yet isn’t about being subservient. There are times when we have valid, professional advice based on our research, experience and intuition. We tend to be an insatiably curious bunch – never satisfied with what we know – a thirst for more. A dissatisfaction with running the same event/workshop/coaching session/online lesson in the same way. We have a desire to improve, tinker, shift gears, experiment. Is an ultimately successful L&D where people actually don’t notice you for all the right reasons (so not disregard here but no need to make a big deal about things)? And is the boldest form of L&D actually getting rid of the function? Defuncto. Not needed. We aspire to a learning organisation; we (well me certainly) hanker for socialised, informal, distributed learning mixed with a smattering of formal learning; we want to make learners self-resourceful; we believe in the spirit of continuing professional development in all its guises so SURELY the ultimate in being a bold (internal) L&D professional is to remove the need for you to be there in the first place? Thanks as I said earlier, to David Goddin for this. I liked its provocativeness . On reflection on this, I don’t believe that assertion. For the nature of disruption innovation and evolution says the world around will constantly change, spike, soar and dive. Leaders will have levels of comfort and discomfort which will impact on others; life just moves around too much to ever say “our job is done”. So here’s another bold assertion: the learning profession should be like the Holland 1974 World Cup squad – totaalvoetbal. So for those who don’t know this; it was called Total Football. Now before some of you who (bizarrely) don’t like this amazing game, stick with me. Total Football meant that any player could play in any position. In fact, apart from goalkeeping, positions were nominal in this groundbreaking Dutch squad. Johann Cruyff will always stand out as such a gifted player but it was a team effort. And ok before the Manchester United fans out there say “but they didn’t win anything” this philosophy of football got them to 2 successive World Cup finals but ultimately provided a benchmark for entertaining; skilful, asset-utilising achievement. Forget holding the trophy aloft – that’s for the engravers and the montage creators. Their lasting impact on football was – IMHO – longer than winning the World Cup. Anyway, the reason I am using this analogy is many of the best learning professionals I know and respect could practice total football or total learning maybe. They can coach; train; facilitate; use social technology; can network; workshop; create online learning; write books; blog; create videos; act; use imagination and creativity; use intuition; plan; analyse; draw; build – you get the picture. So bold L&D is IMHO TOTAL LEARNING. Because to do all the things I mentioned above and more you need to be bold and with this vast array of talents, you deserve to be bold and get away with it. 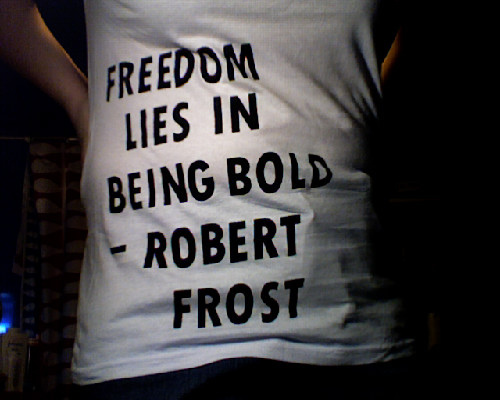 I’ll leave you with this image courtesy of Robert Frost.